Host: Highlander “Survival & Tech Preps “ Audio in player below! As with most topics we have a lot of what if’s? Food storage with preppers is a big deal and we think we have enough. We prepare for so long the amount we think we’ll need, but alas we also lack discipline to ration food. Some of us do not have a backup plan to get food in case we do run out. 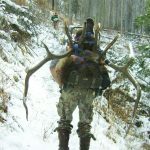 For this reason, we talk about what kind of animals to hunt and how to hunt during shtf. The need for food is paramount to everyone, do we count on the grocery stores or do we have a plan to bring in food we will need? What if you have relatives, extra people come to you? You will need that extra food. We already know about growing food but I will talk about hunting, a skill which many lack. 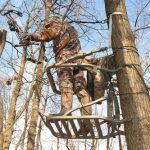 A surprise awaits those that lack the skills and think that just taking a gun or bow into the woods promises food. I say to this hold your jets, it isn’t that simple. I will ask a simple question to many preppers, do you have a backup plan? Believe it or not many say no! I find this so perplexing because to me prepping means backup plain and simple. Past shows I have talked about how confident we all seem to get, “I have a year’s worth of food and I am good” not really, one or two extra persons that food is cut in half. You have to have some kind of way to bring in food on a regular basis. We talk about hunting, implements, trapping, fishing, anyway to get food save growing food. 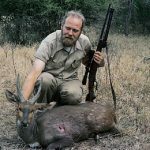 Listen to this broadcast or download “Best Animals to Hunt During SHTF” in player below! Previous: Previous post: How to Make a Snake Trap Even with Household Items? Next: Next post: Fertilizers, feeding your plants!